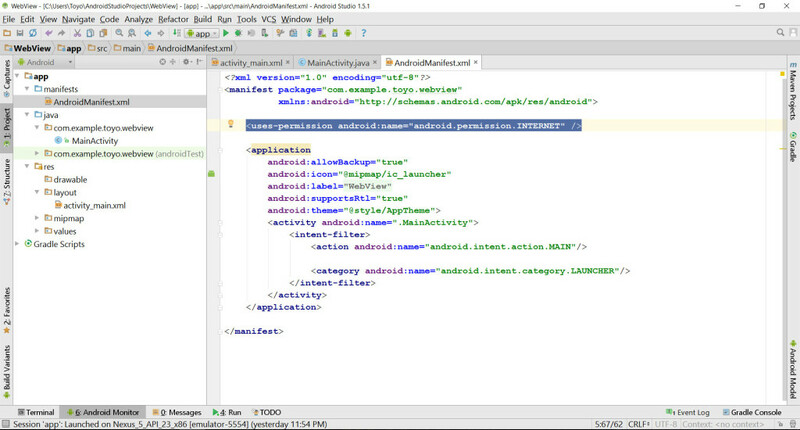 Learn how to use WebView xml file to get data from website in Android Studio version 1.5.1, complete tutorial step by step. 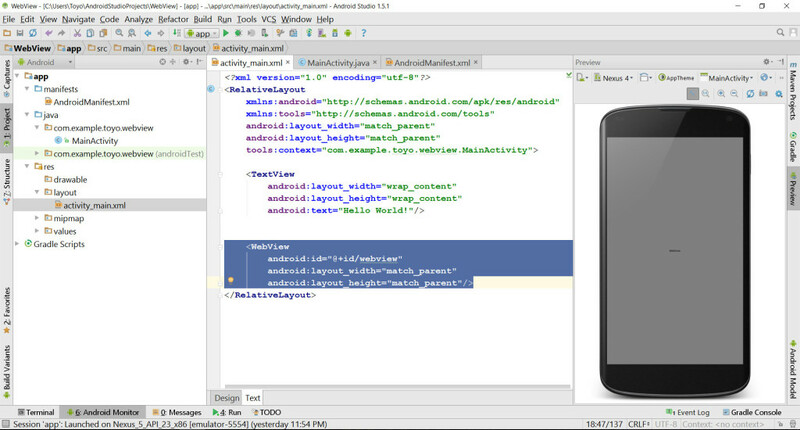 Create New Project with Application name: WebView; Minimum SDK: API 10 – Android 2.3 (Gingerbread). 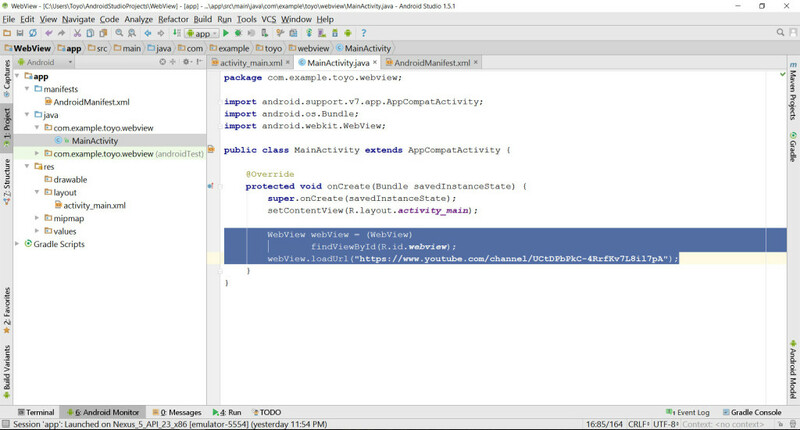 Run your app in Emulator or in Mobile device and see displayed chosen website. Download free WebView app (GetData.apk) from here and install it on your device to see how works. i followed same steps but not able to scroll and the screen was freeze.